Tony Aaron serves as an Adjunct Professor in the Leventhal School of Accounting at the University of Southern California and has been appointed as Director of the USC SEC and Financial Reporting Institute. He has spent over 37 years in financial analysis. The majority of his career took place at Ernst & Young LLP, and he spent time earlier in his career as a securities analyst. Tony has served as Chair of the Board of Trustees of the Appraisal Foundation; he has co-chaired the AICPA’s task force which prepared the Accounting and Valuation Guide entitled “Assets Acquired to be Used in Research and Development Activities”; he has chaired the Appraisal Foundation’s first Working Group which prepared the Best Practices for Valuations in Financial Reporting Valuation Advisory entitled, “The Identification of Contributory Assets and Calculation of Economic Rents”; as well as serving in many other roles with the American Society of Appraisers (ASA), the American Institute of Certified Public Accountants (AICPA) the Royal Institution of Chartered Surveyors (RICS) and the Appraisal Foundation. He currently serves as Chair of the Performance Framework Work Stream of the Fair Value Quality Initiative. This initiative is a consortium of professional organizations and firms with an interest in quality and consistency in fair value measurement in financial reporting. He received his BS degree from USC, concentrating in Finance and Real Estate and his MBA from UCLA, concentrating in finance, management science and computers and information systems. 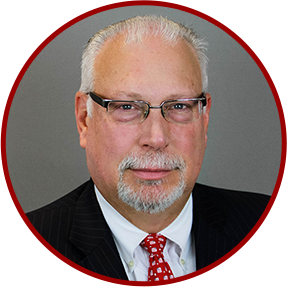 Tony holds the CFA Charter with the CFA Institute, he is a fellow and an accredited senior appraiser with the ASA, he is a fellow of the RICS, and is an associate member of the AICPA.